TINA04 is a female athletic sports mannequin that comes in a matte black color. Made of premium materials, she is a beautiful sports mannequin to display your sports clothing whether it is an outfit for running, yoga, or an athletic uniform. 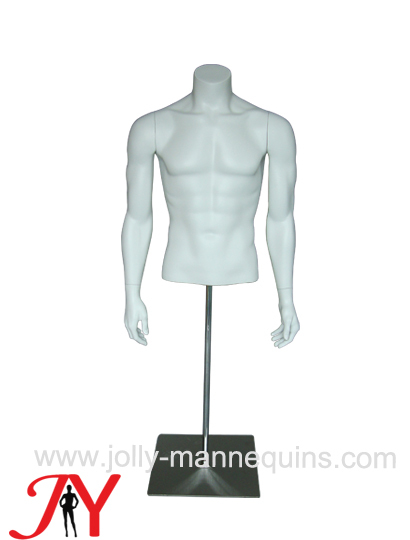 The egghead mannequin is also a classic that will never go out of style. She stands straight with her arms at her hips ready to show off whatever sporty clothing you put on her. The TINA04 female athletic sports mannequin is a beautiful piece that will last for years. TINA04 is a female athletic sports mannequin that comes in a matte black color. Made of premium materials, she is a beautiful sports mannequin to display your sports clothing whether it is an outfit for running, yoga, or an athletic uniform. The egghead mannequin is also a classic that will never go out of style. She stands straight with her arms at her hips ready to show off whatever sporty clothing you put on her. The TINA04 female athletic sports mannequin is a beautiful piece that will last for years.